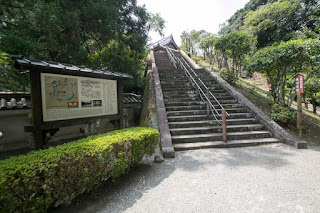 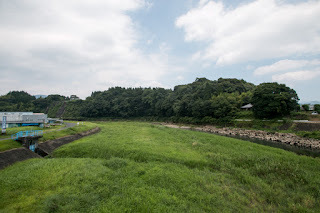 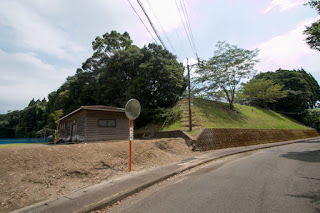 Obi castle (飫肥城) is located on a hill at the top of U letter shaped curving Hirosegawa river in the center of Obi town, about 5 kilometer upstream from river mouth. 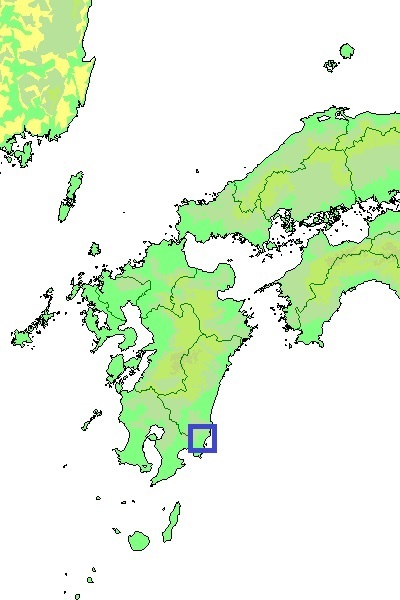 Obi area itself is a small valley in the mountainous area at the border of Hyuga province (Miyazaki prefecture) and Osumi province (Kagoshima prefecture), but Aburatsu port at the mouth of Hirosegawa river has a long sandbank and islands guarding anchorage then quite good natural port. 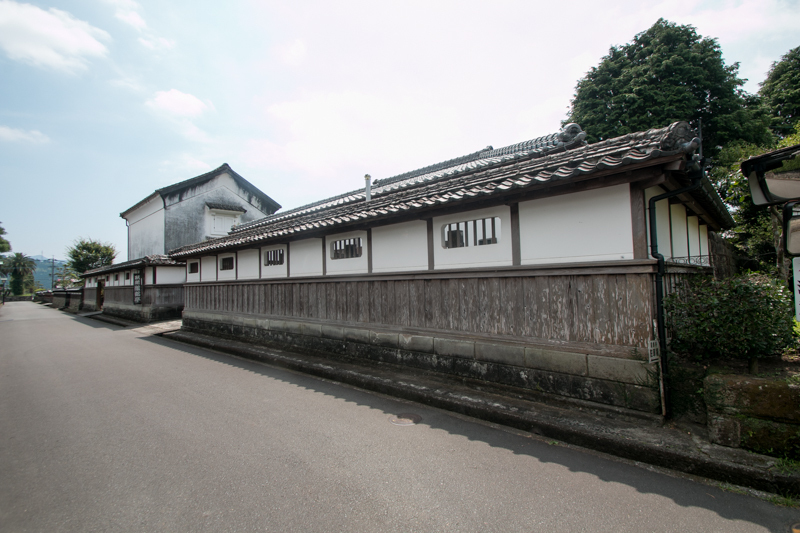 Because of its condition Aburatsu port prospered since medieval era, and worked one of the international trading port with the continent. 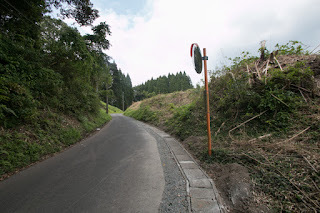 It was difficult to reach Aburatsu port directly along with the coast line, thus as a connecting road from Hyuga province or Osumi province and also a guarding point, Obi town had been an important point for the holders of Aburatsu port. 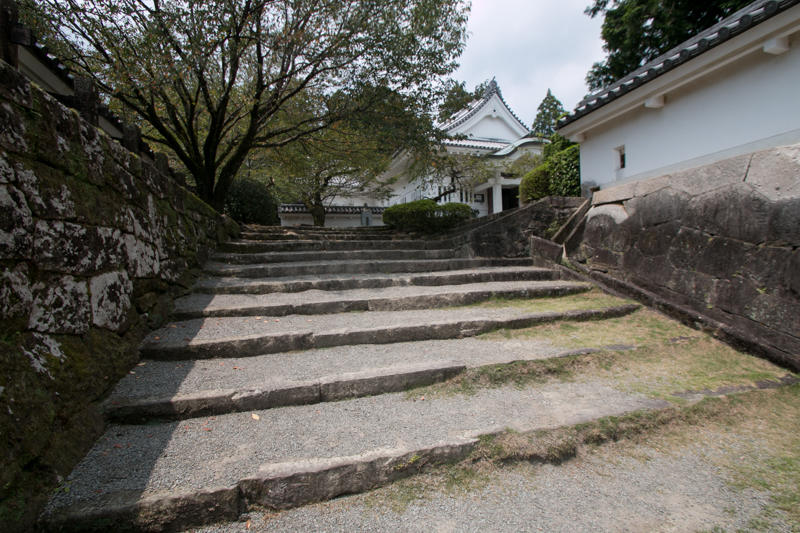 Precise year is unknown but Obi castle was built by the end of 15th century. 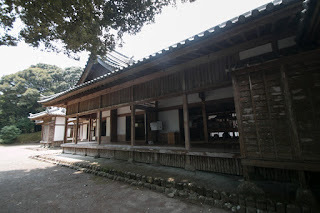 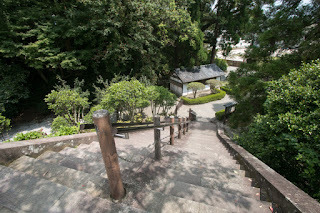 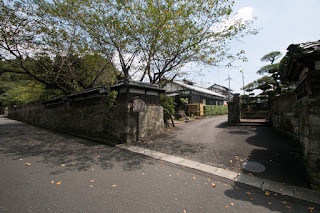 In 14th century, Tadahisa Shimazu (?-1227), a close retainer of Yoritomo Minamoto (1147-1199) who was the founder of Kamakura Shogunate, was appointed as a magistrate of Shimazusho Manor, the largest manor in Japan spread Satsuma province, Osumi province and Hyuga province. 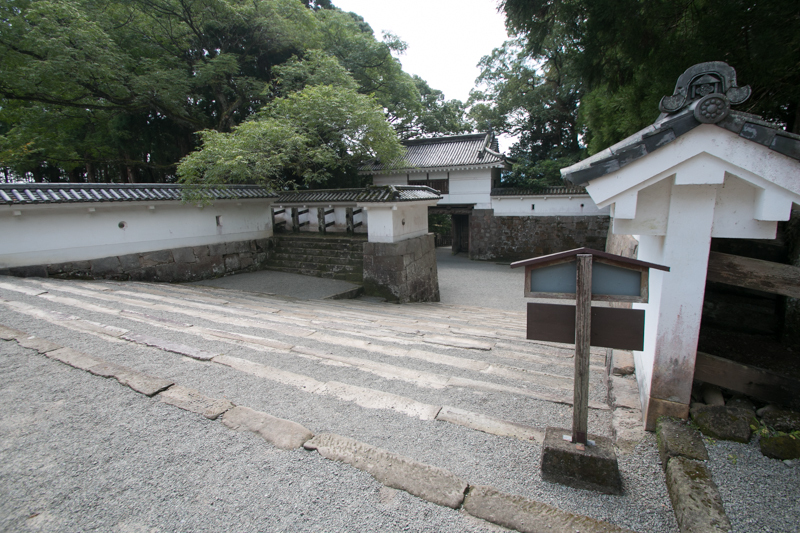 Later Shimazu clan once lost Osumi and Hyuga province, but under Muromachi Shogunate they recovered the authority to two nations. 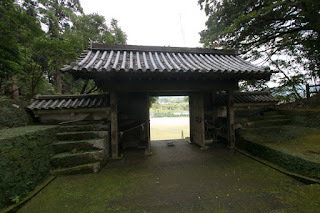 Obi castle and Aburatsu port was held by Shimazu clan at that time. 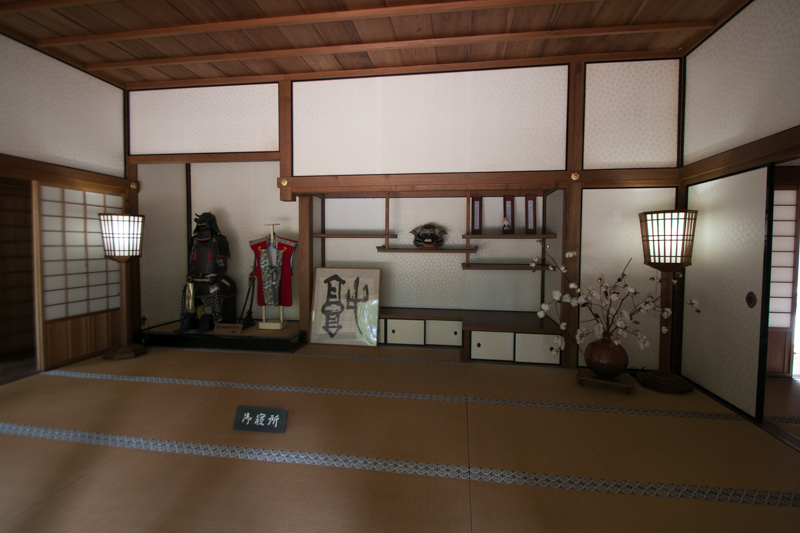 But since the middle of 14th century, Shimazu clan suffered from severe internal conflict. Shimazu clan at that time was a loose union of branch families, and they firmly united against external enemy but after the disappearance of danger they started to oppose each other. Utilizing such situation, local lords such as Ito clan at Hyuga province or Kimotsuki clan at Osumi province left Shimazu clan and expanded their power, and Shimazu clan once virtually lost these provinces. 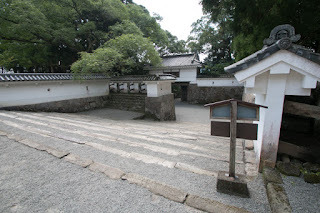 Ito clan was a descendant of Suketsune Kudo (?-1193), who was a close retainer of Yoritomo Minamoto (1147-1199) but was killed in a famous revenge of Soga brothers that lost their father by assassination by Suketsune. Suketoki Ito (1185-1252). 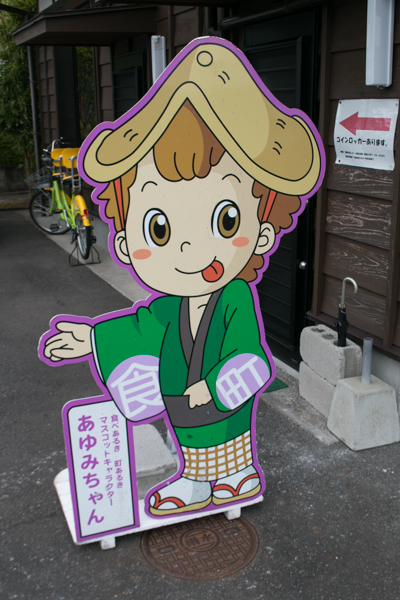 son of Suketsune, also served to Kamakura Shogunate and activated in many battles, they he got the territory of middle part of Hyuga province (Miyazaki prefecture) but still lived in Kamakura city. 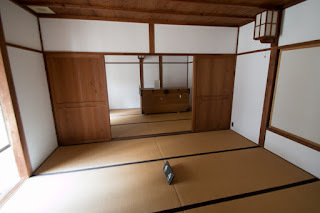 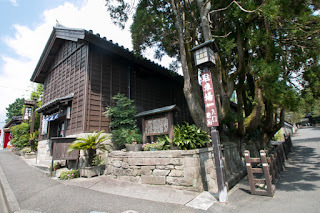 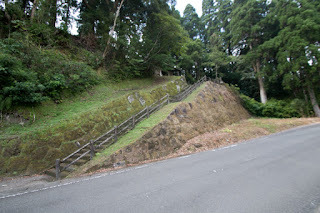 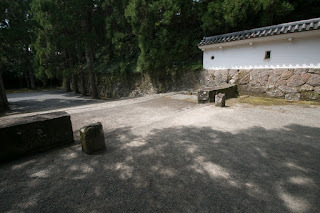 In 14th century, because of the order of Takauji Ashikaga (1305-1358), the founder of Muromachi Shogunate, Sukeshige Ito, the leader of Ito clan, moved to Hyuga province and lived at Tonokori area. 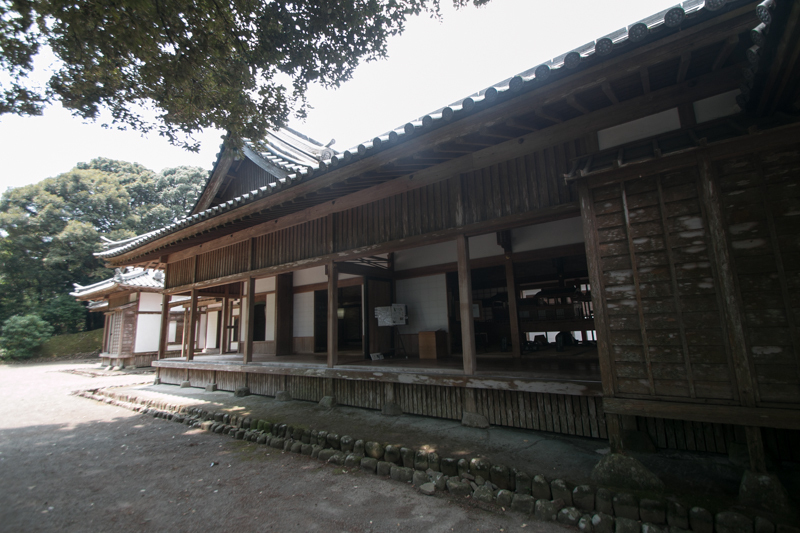 Sukeshige newly built Tonokori castle as his residence, and Ito clan gradually expanded their territory. 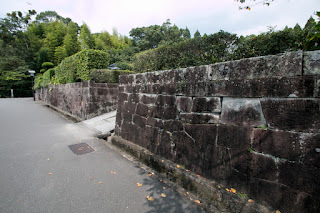 They suppressed Tsuchimochi clan located at the north part of Hyuga province and deprived north part of the province except for Nobeoka area, then their aim turned to Obi castle and Aburatsu port held by Shimazu clan. 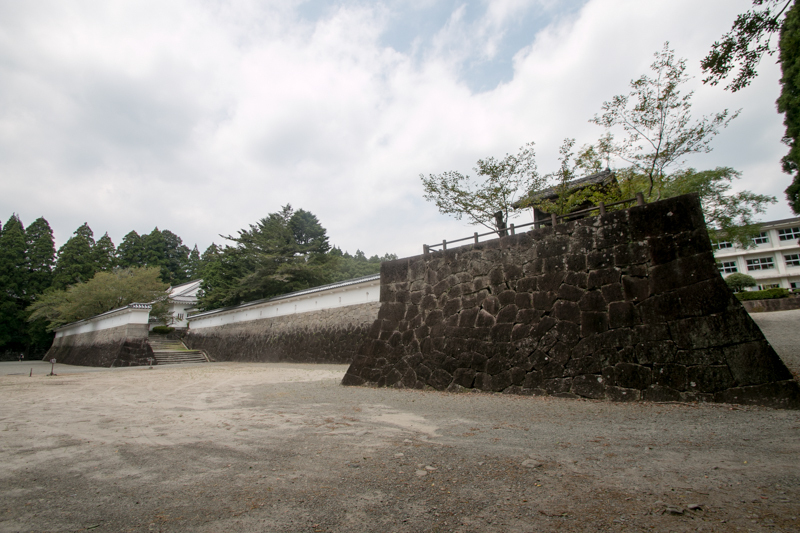 Shimazu clan strengthened Obi castle preparing for the invasion of Ito clan, but finally Ito clan started their attack against Obi castle in 1485. Shimazu clan recurrently rejected attack of Ito clan, but along with the weakening of the clan and rose of Kimotsuki clan at the middle point, it gradually became difficult to keep Obi castle. 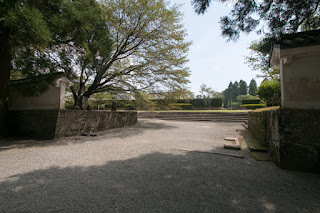 Finally, at the ninth battle 80 years after commencement, Yoshisuke Ito (1512-1585), the leader of Ito clan, finally captured Obi castle and placed his son Suketake Ito (1559-1600) as a commander. 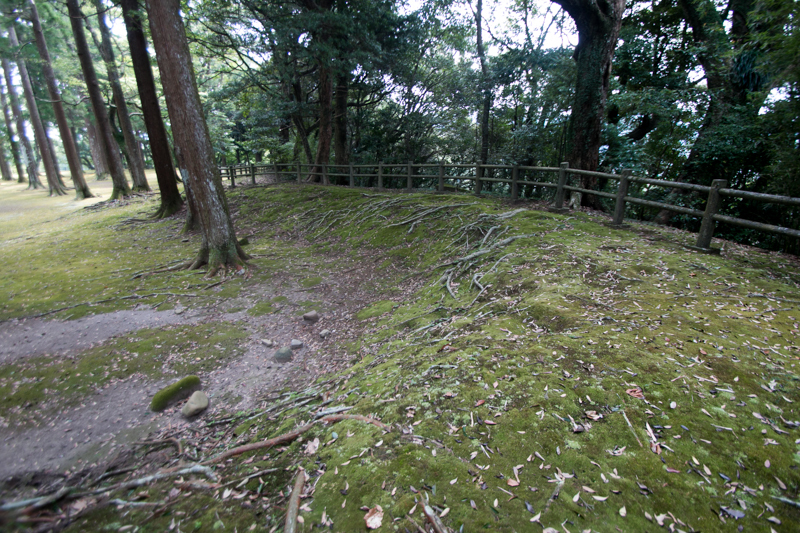 Ito clan which captured Obi castle enjoyed its peak period, but peak period of Ito clan did not last long. 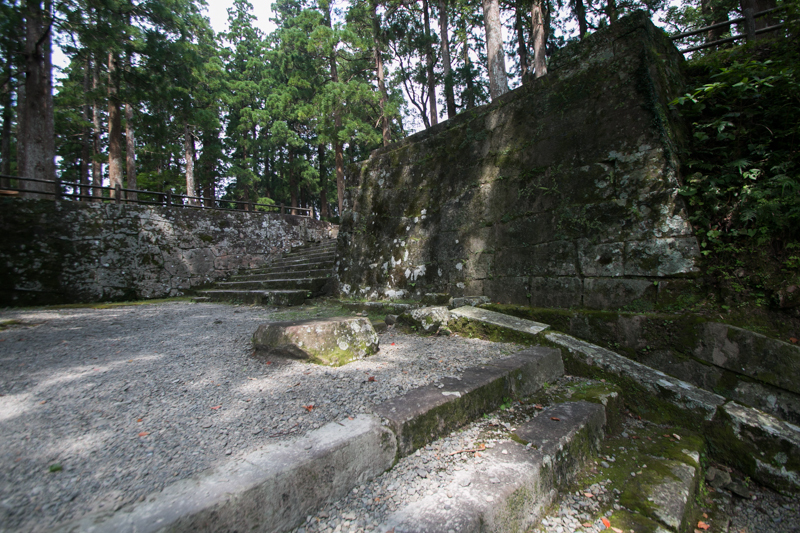 Based on the wealth gained from Obi port Yoshisuke Ito became indulged in luxury, and lost interest in dominance. 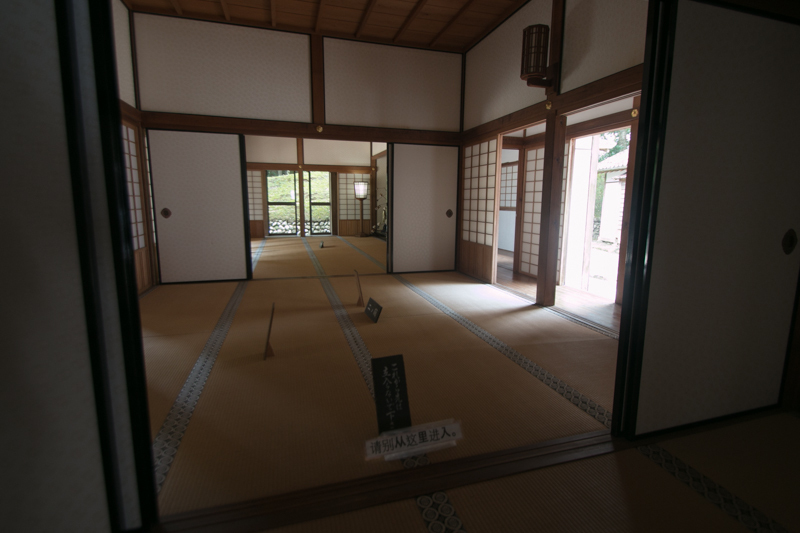 He extremely believed Buddhism and spent too much money, and this brought dissatisfaction among retainers. 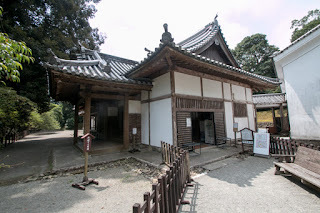 Furthermore, Shimazu clan which lost Obi city now restored their situation under their leader Takahisa Shimazu (1514-1571) and brilliant four sons Yoshihisa Shimazu (1533-1611), Yoshihiro Shimazu (1535-1619), Toshihisa Shimazu (1537-1592) and Iehisa Shimazu (1547-1587). Now Shimazu clan recovered Osumi province (eastern part of Kagoshima prefecture) held by Kimotsuki clan, and seek Obi area. In 1571, after the death of Takahisa Shimazu, Kimotsuki clan once obeyed to Shimazu clan resisted to Shimazu clan, and seeing this Yoshisuke sent a large army to Kakuto castle. 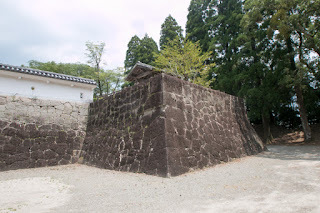 But being tricked by the false information Ito army attacked fully secured Kakuto castle and got severe damage, and also got sudden attack of Shimazu clan in retreat. Ito clan lost many generals and soldiers, and after this defeat dissatisfaction of retainer appeared then Ito clan rapidly collapsed. 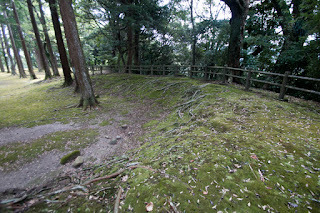 Next year Otomo clan sent a large army to beat Shimazu clan, but also suffered a severe defeat at the battle of Mimikawa before Shimazu army. 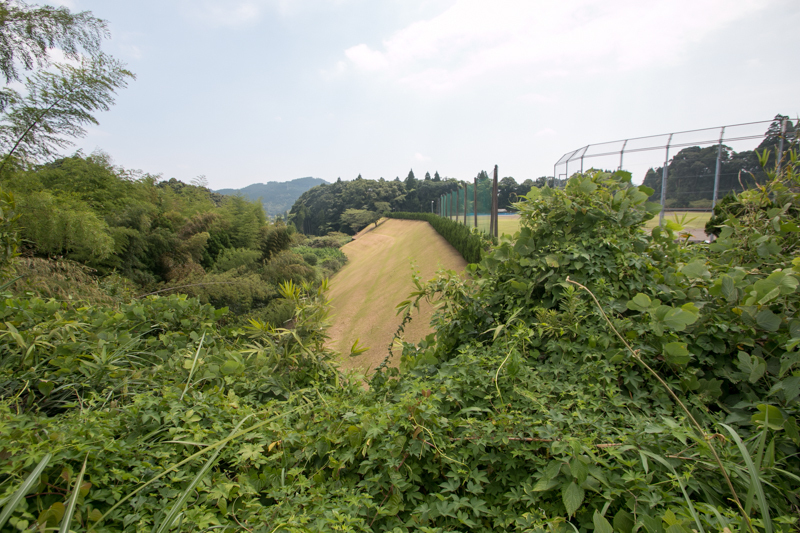 Now no power in Kyushu island could not stop the expansion of Shimazu clan, and the hope of restoration of the clan once lost. 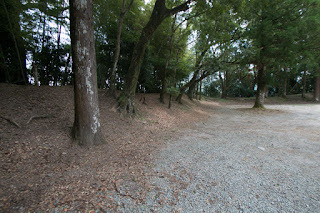 Yoshisuke and his son Suketaka moved to central area, and Yoshisuke wandered and died in despair. Ito clan seemed to disappear from the history. But Suketaka and his wife Shojyuin bear wandering life and seek the chance of recovery. 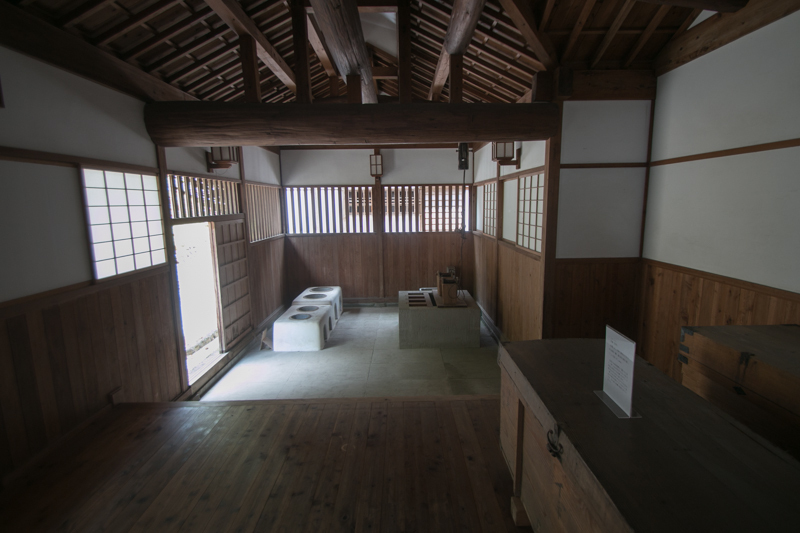 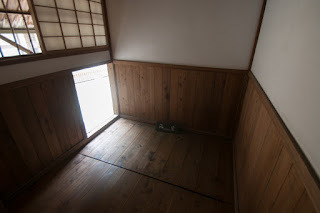 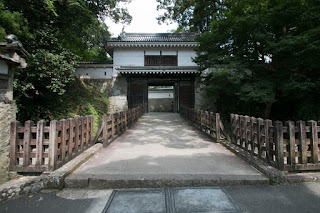 Shojyuin was born at Tosa Ichijyo clan which was the governor of Tosa province (Kochi prefecture), but Tosa Ichijyo clan also fell by the attack of Chosokabe clan. 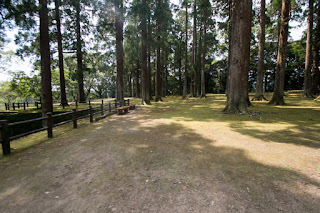 Under the coordination of distant relative, Suketake was hired by Hideyoshi Hashiba (1537-1598, later Hideyoshi Toyotomi) who was the general of central ruler Nobunaga Oda (1534-1582), and activated under Hideyoshi for the battle of uniting Japan after the death of Nobunaga. 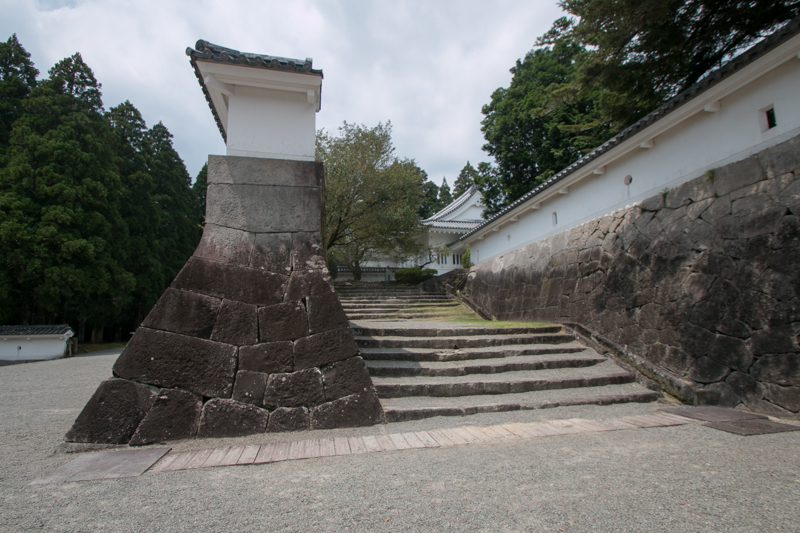 In 1587, Hideyoshi who captured central area made his campaign against Shimazu clan which seized most part of Kyushu island. 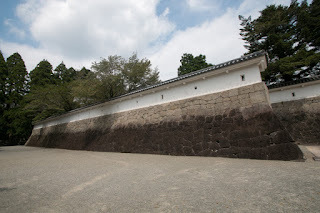 Shimazu clan had talented generals and strong soldiers but was totally outnumbered by overwhelming Toyotomi army and surrendered to Hideyoshi. As a former lord Suketaka introduced Hideyoshi at Kyushu island, and being evaluated his contribution and probablly hostility against Shimazu clan, Sukatake was appointed as a lord of Obi castle by Hideyoshi. 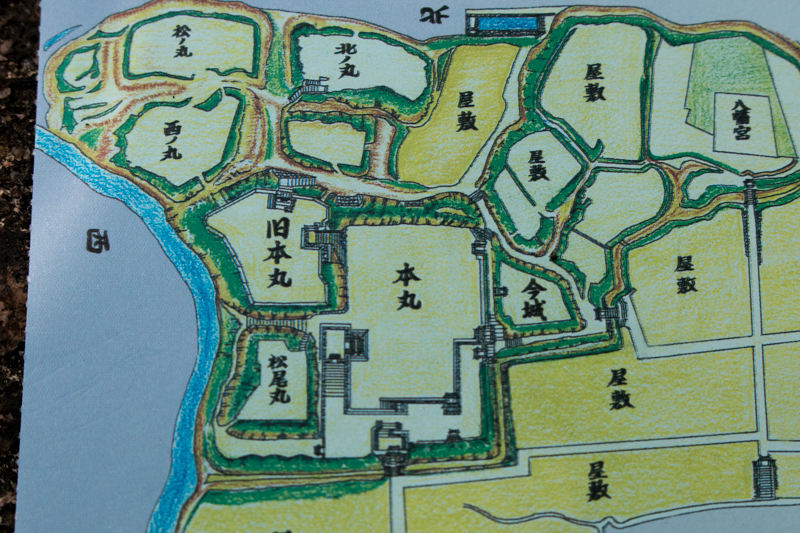 After 10 years from defeat, Ito clan could return to former area as a feudal lord. 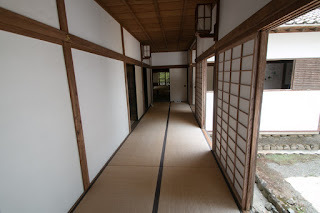 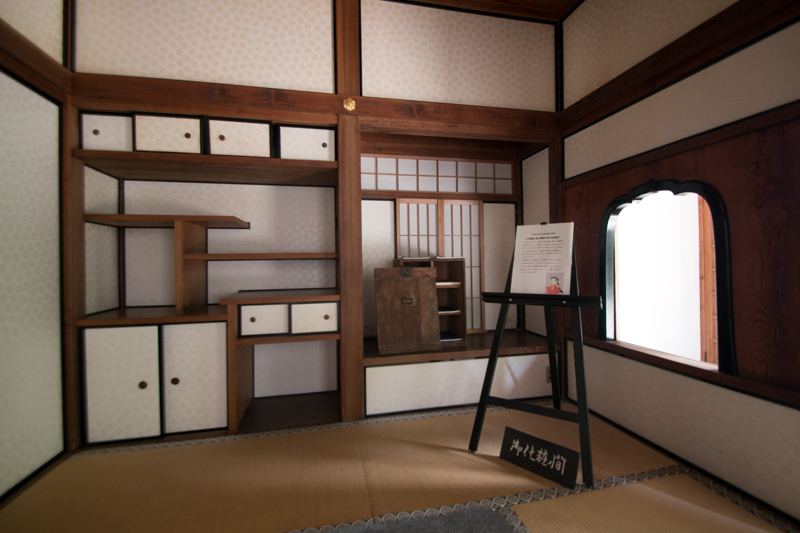 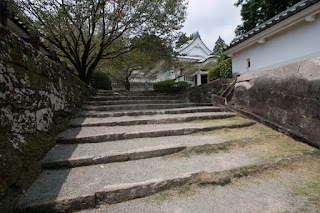 Suketake who became the lord of Obi castle reformed medieval clay made castle into a modern one. Obi castle and Hitoyoshi castle (Kumamoto prefecture) are both reformed from medieval typical castle consist of separated same level heights into modern one using stone walls. 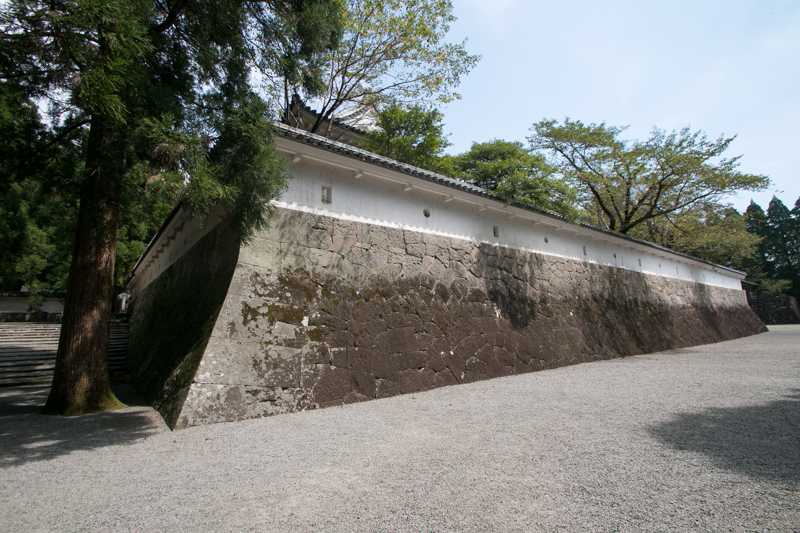 But Sagara clan which reformed Hitoyoshi clan did not fell and held wealth, thus they surrounded whole castle by tall stone walls. 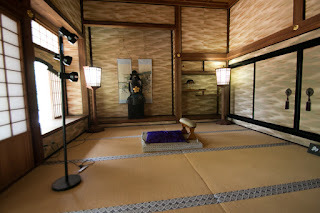 On the other hand, Ito clan once lost everything by fall, and even though being supported by former retainers they did not have sufficient budget for reform. In addition to this, continuing war and unification of Japan oppressed foreign trade at Aburatsu port, especially after worsening relationship with continent and banning of Catholic. 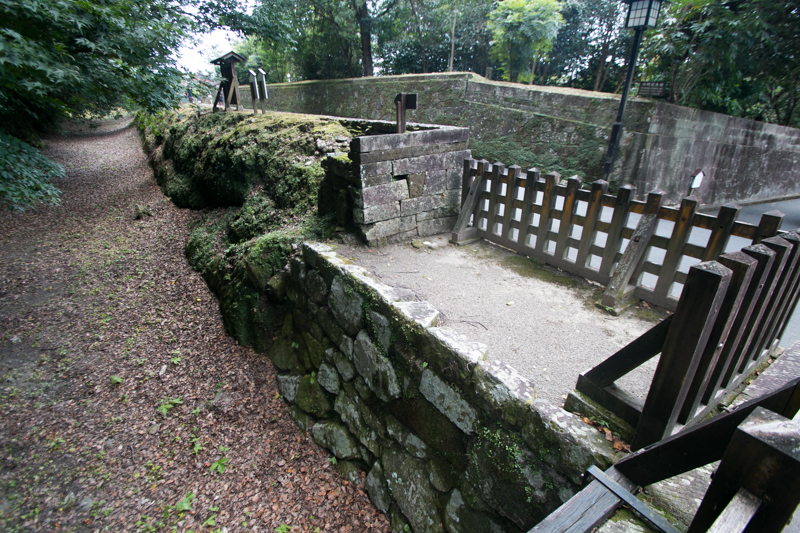 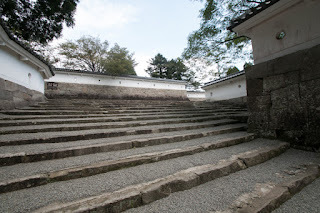 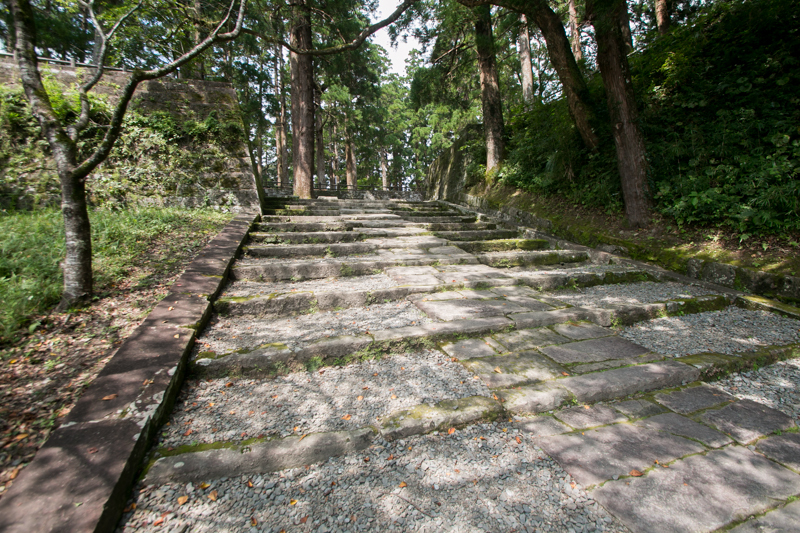 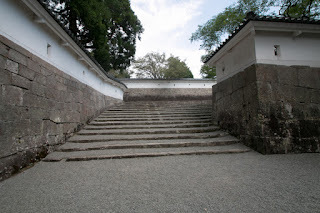 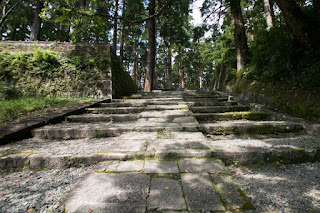 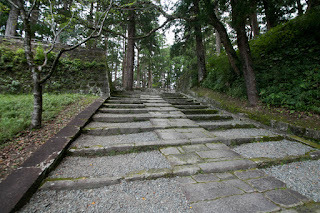 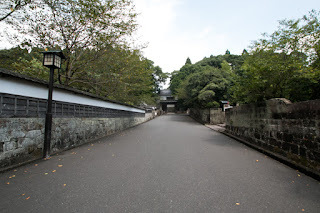 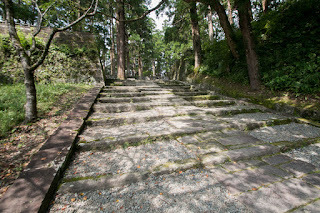 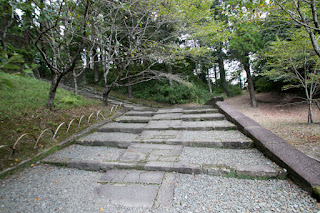 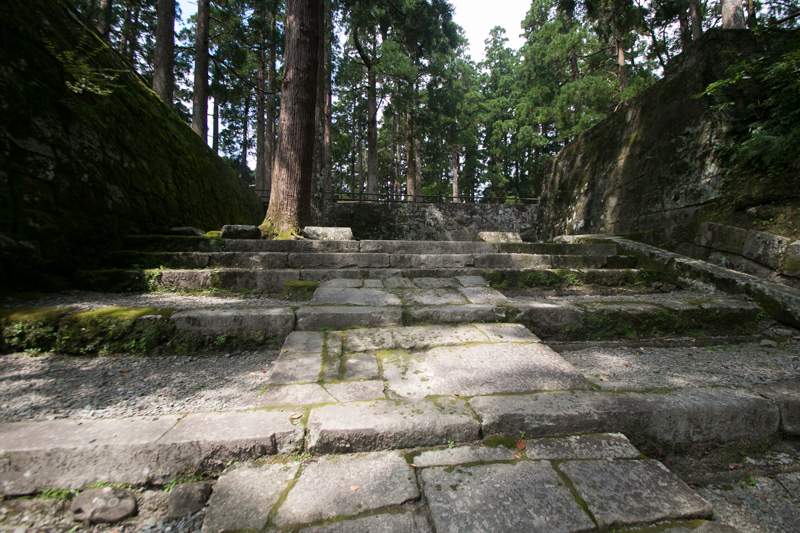 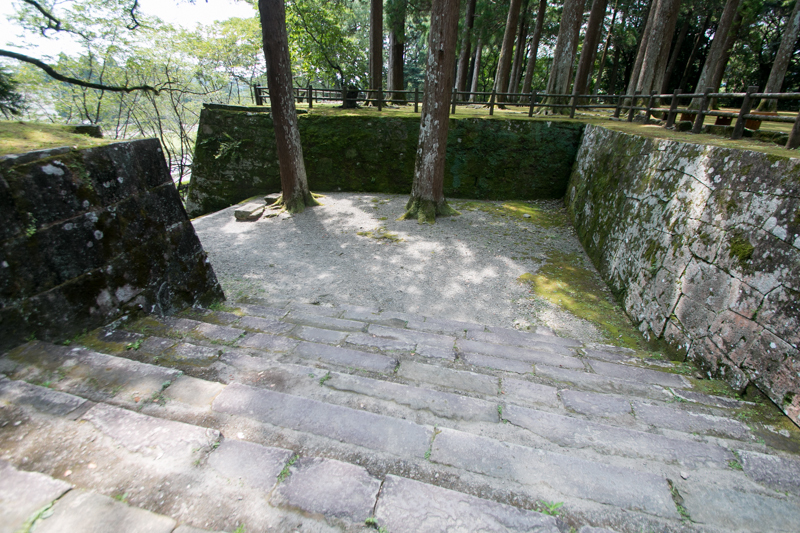 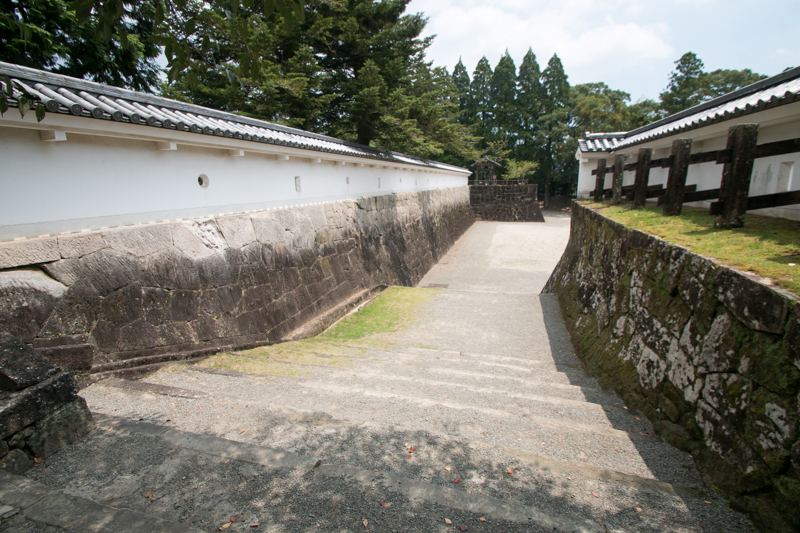 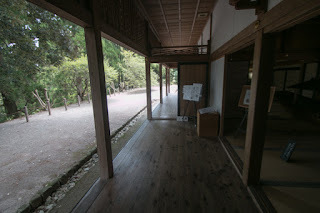 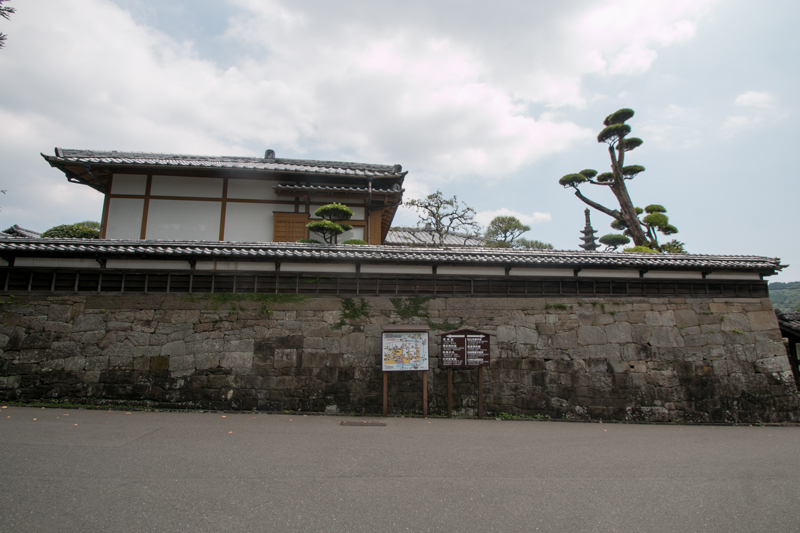 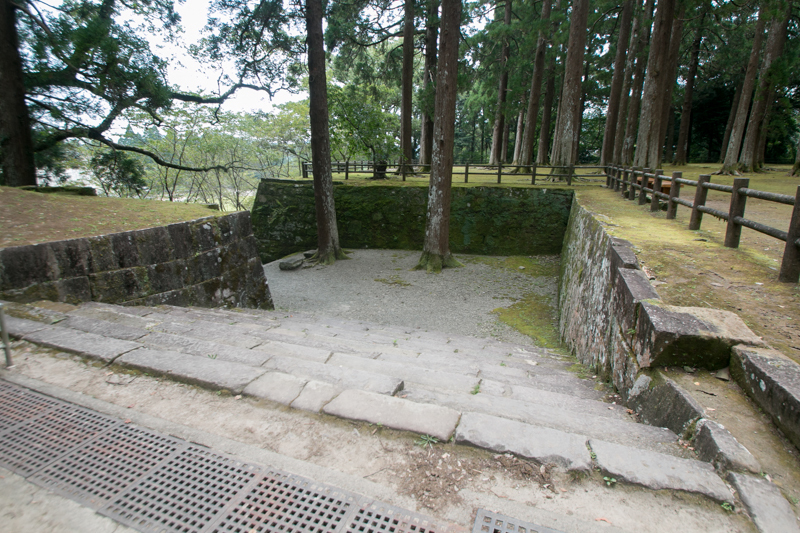 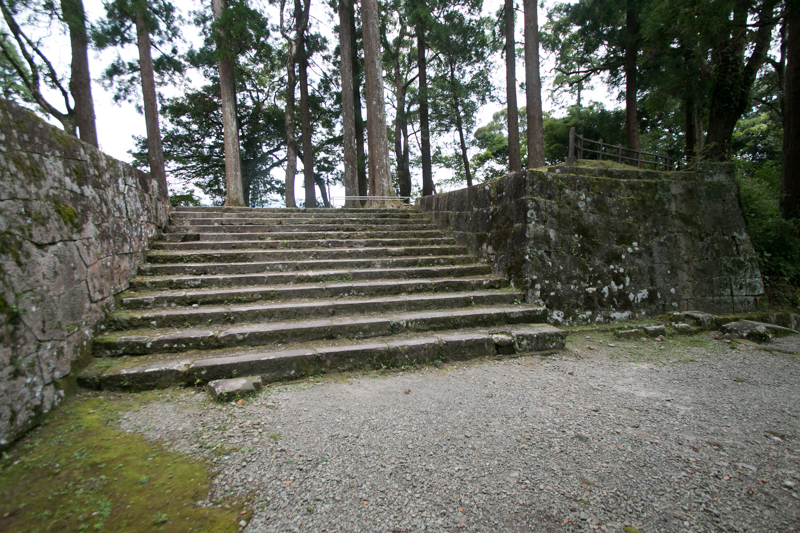 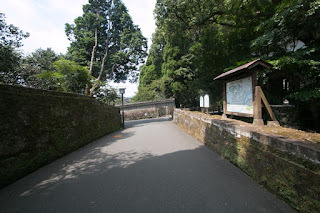 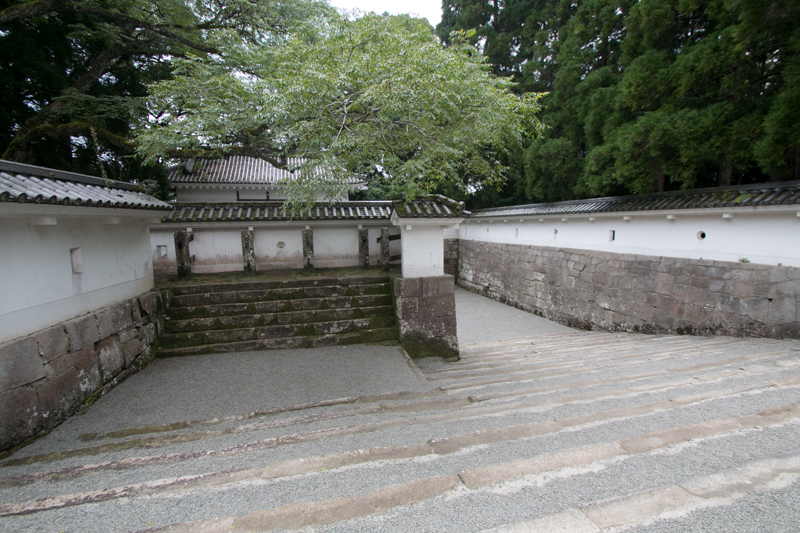 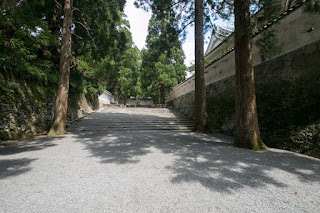 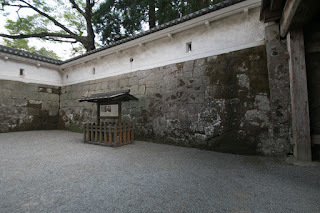 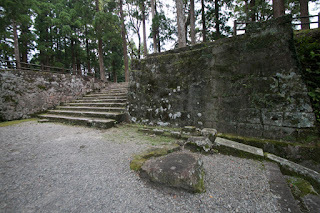 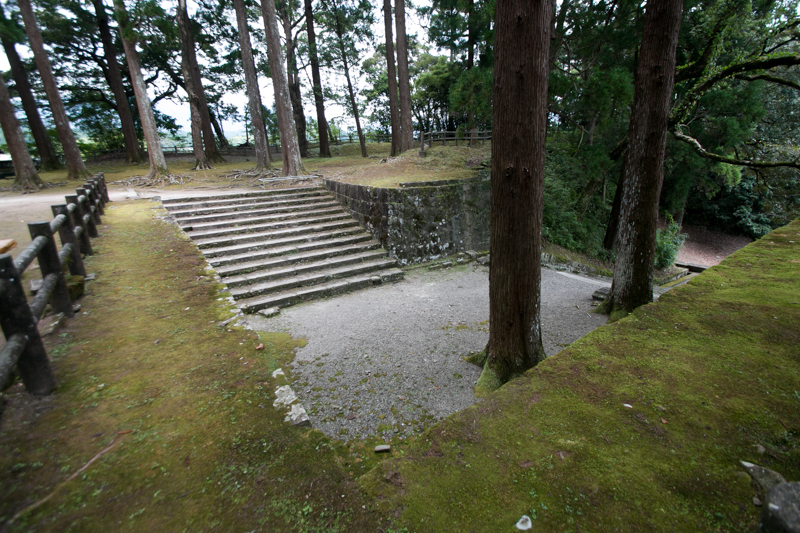 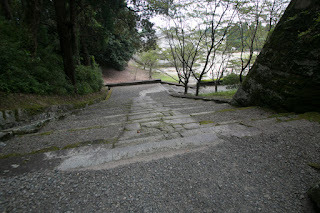 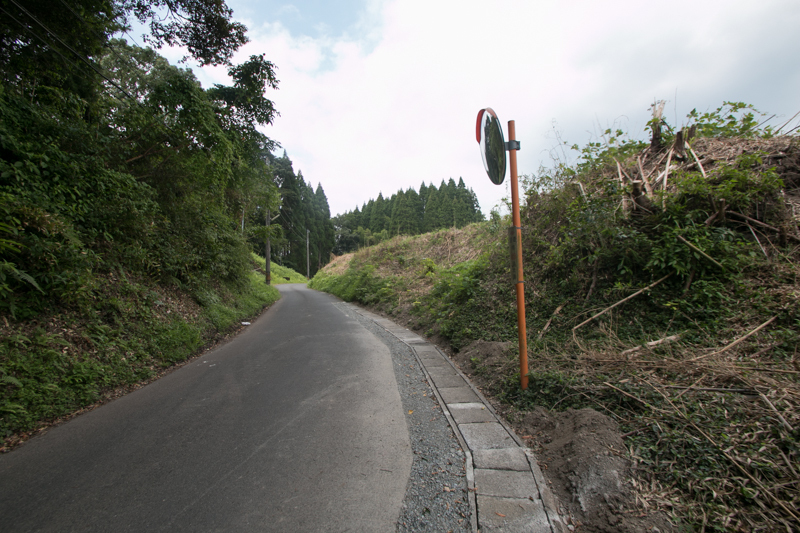 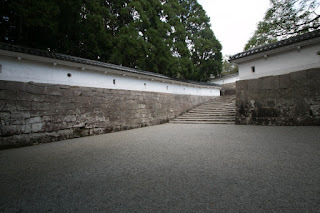 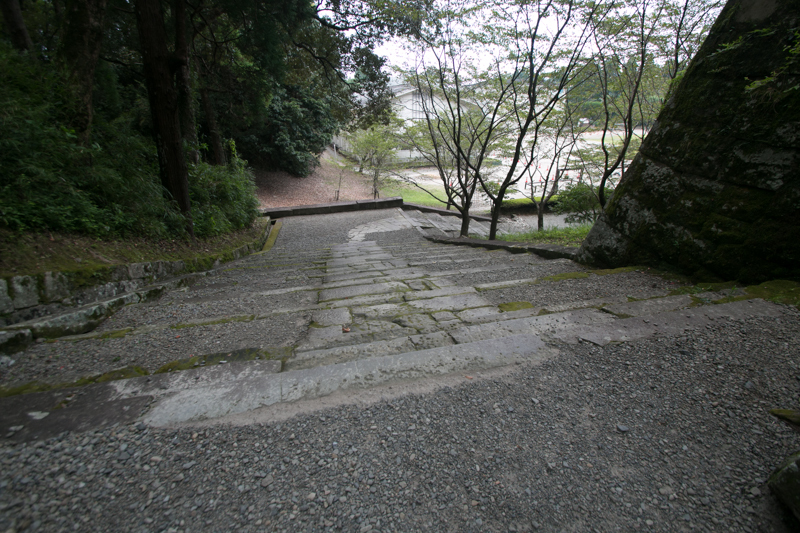 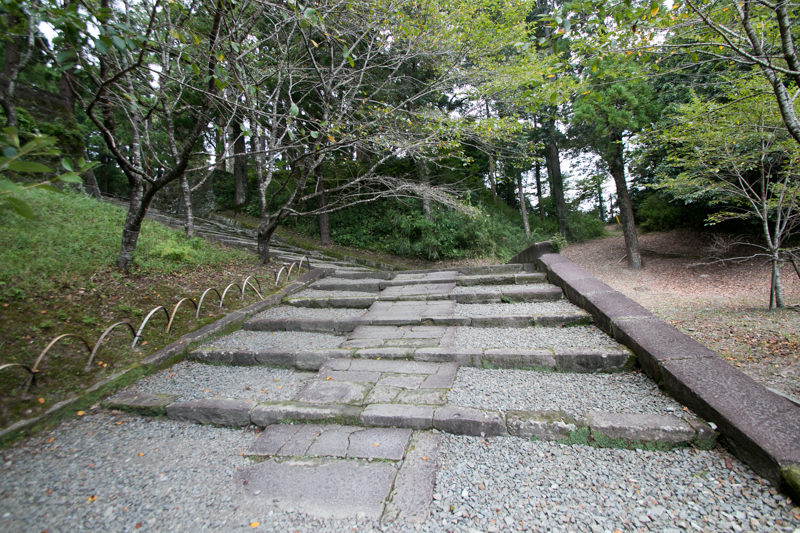 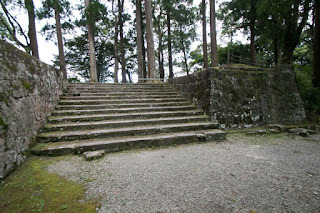 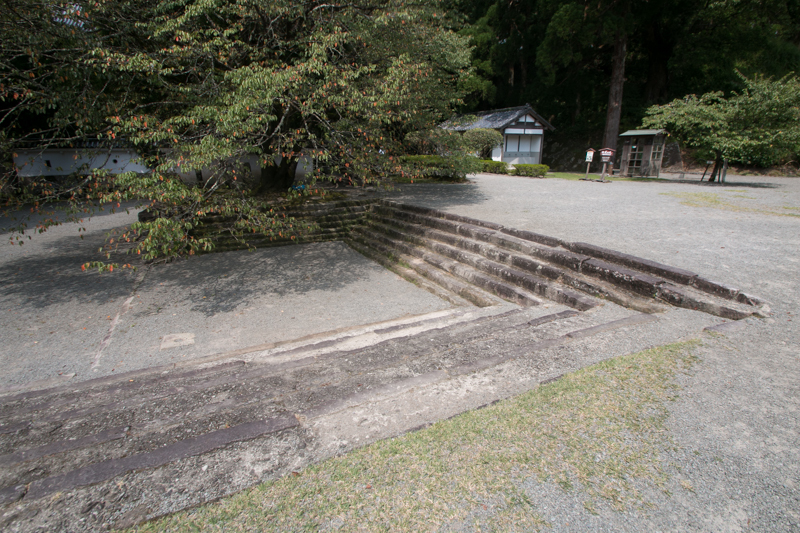 Under such circumstance, Ito clan intensively reformed main route from main gate to the central area with stone walls, and left other parts as before. 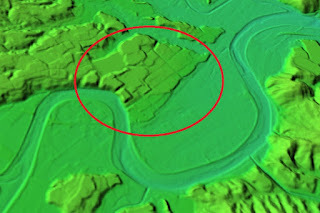 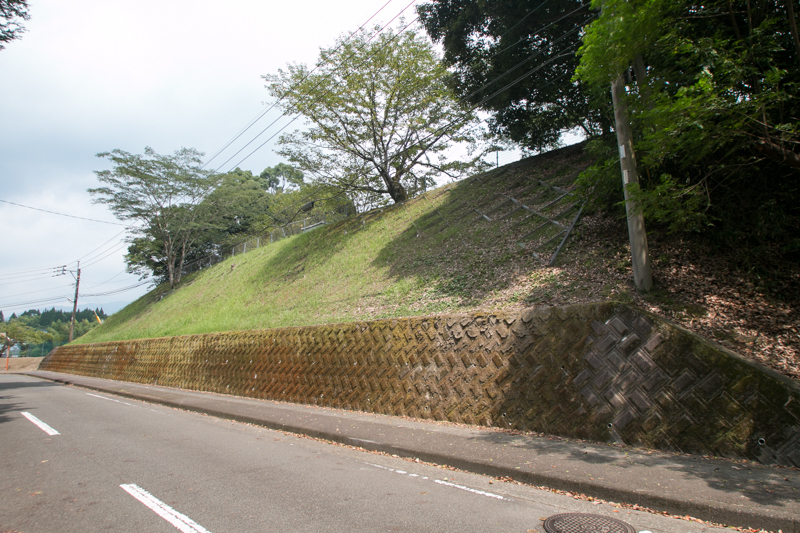 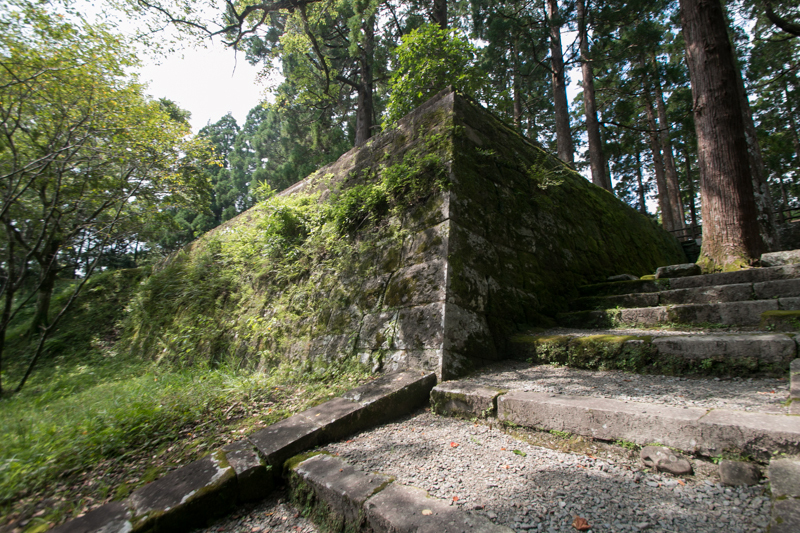 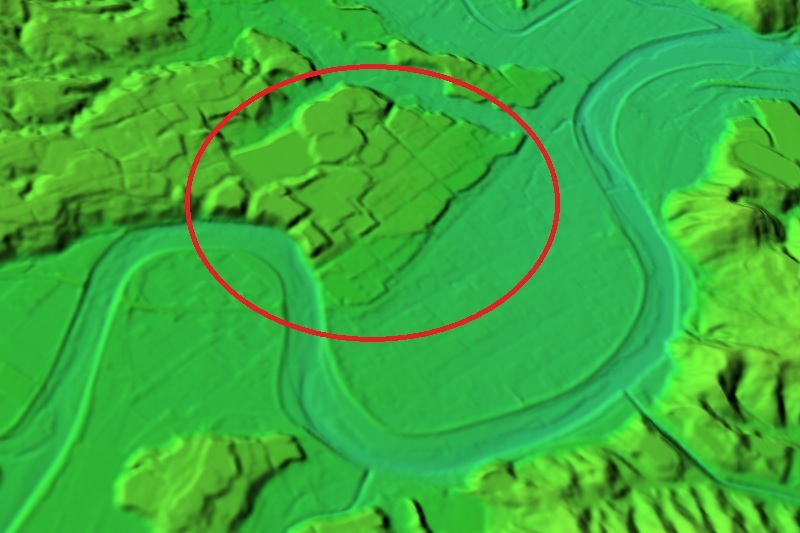 Originally Obi castle consist of over 10 flat areas spread in reverse triangle shape separated by dry moats, but Ito clan reformed three areas at the front of the castle including former central area at the highest point, Matsuomaru area and new central area at the lower level. 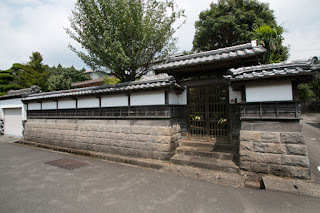 Clay wall of former central area and Matsuomaru area faces to the lower level are decorated by stone wall, and large combined style gate were built at the entrance of former central area and new central area. 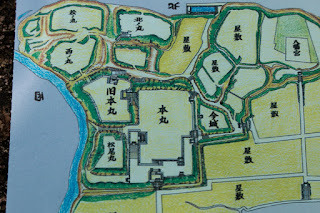 Palace of the lord was at first built at former central area, but because of weak ground later it moved to new central area at lower level and new central area is also separated by stone walls. 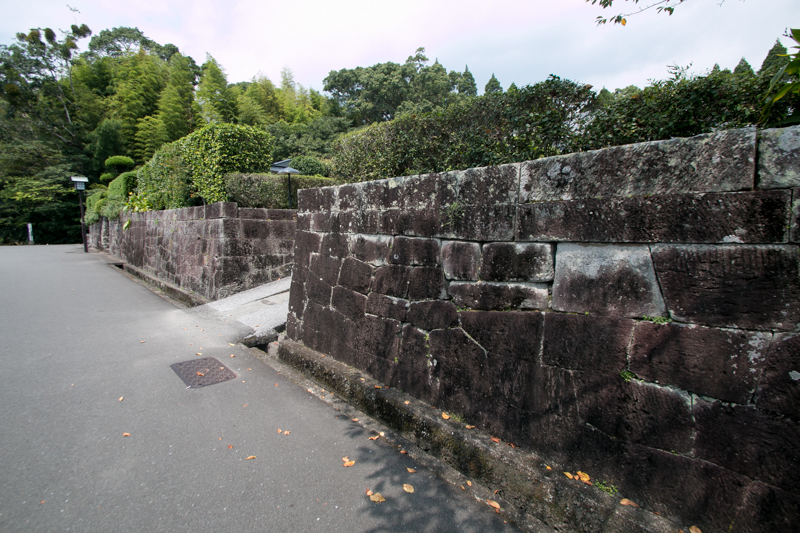 Because of budget limitation stone walls of the castle is not so high and simple, with straight line and without huge stones. Magnificent gate and straight stone wall, and undecorated back side is similar exterior to shrines and temples, not a one of castle. 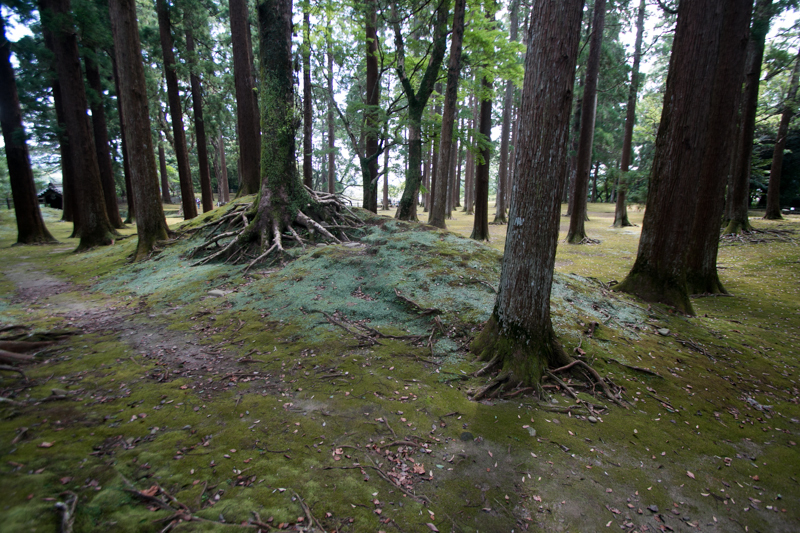 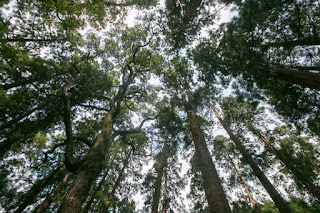 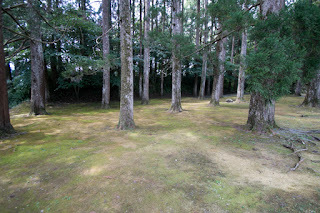 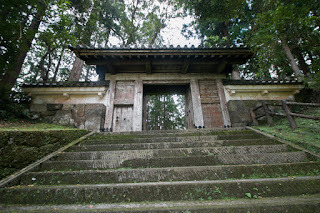 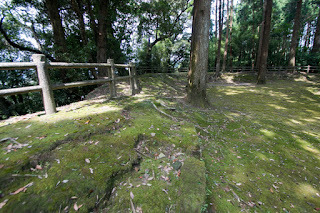 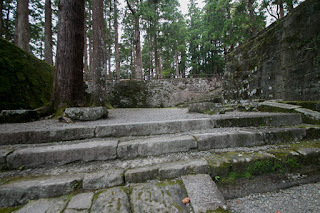 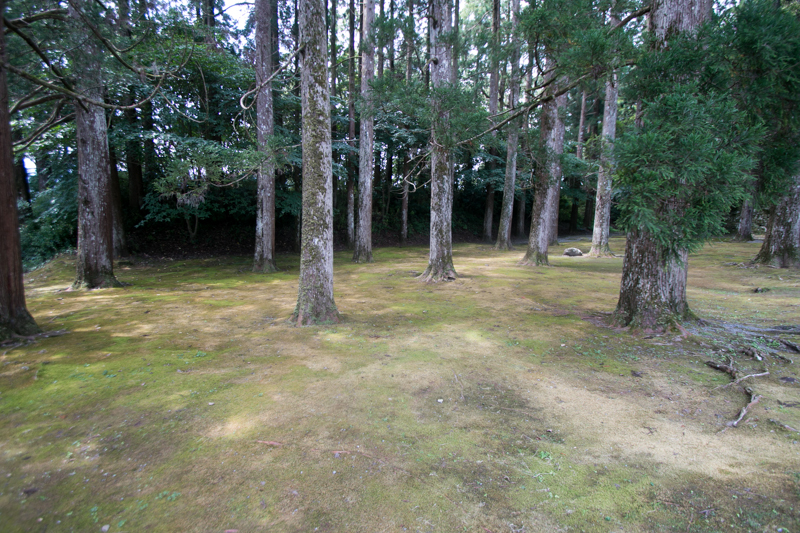 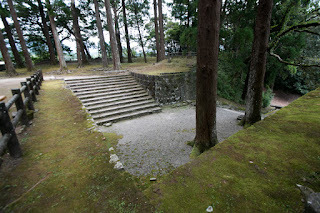 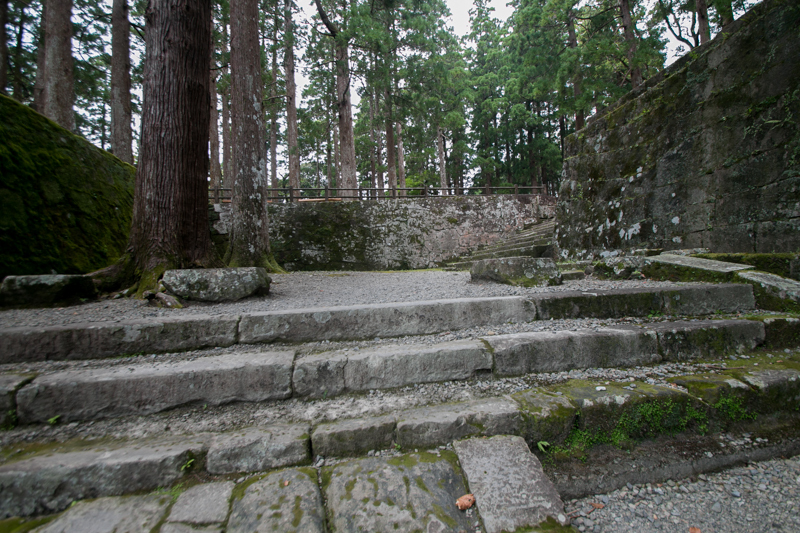 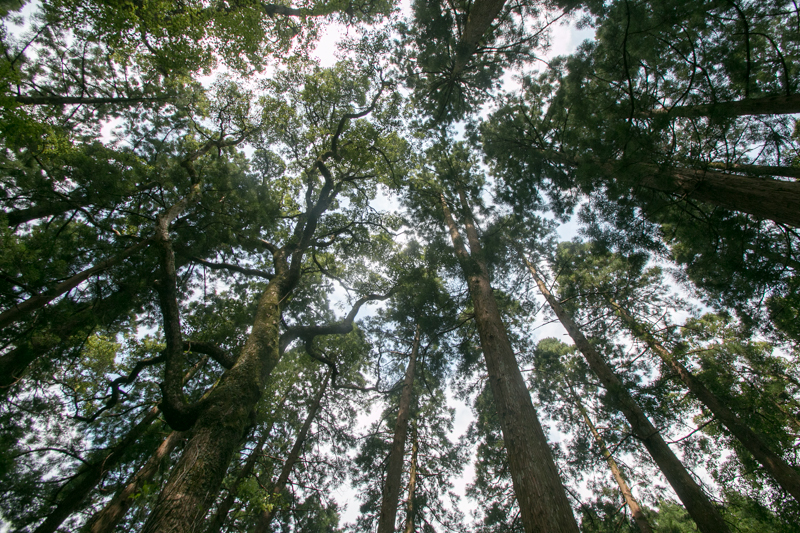 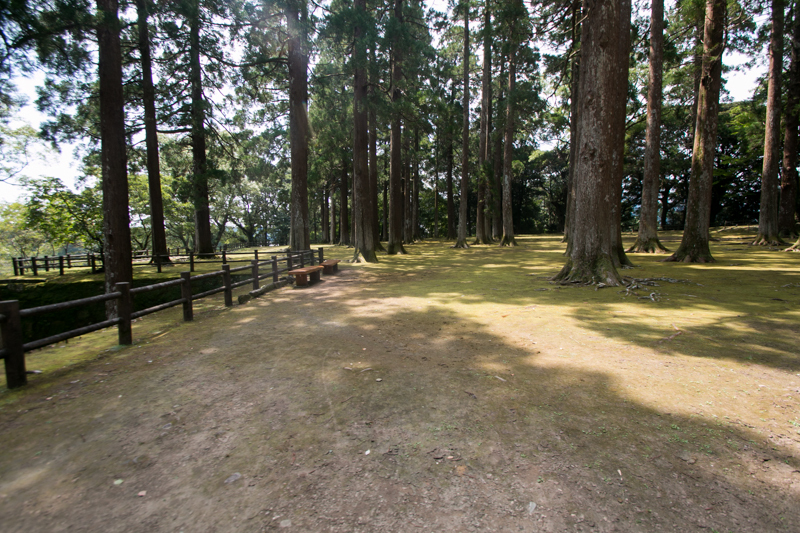 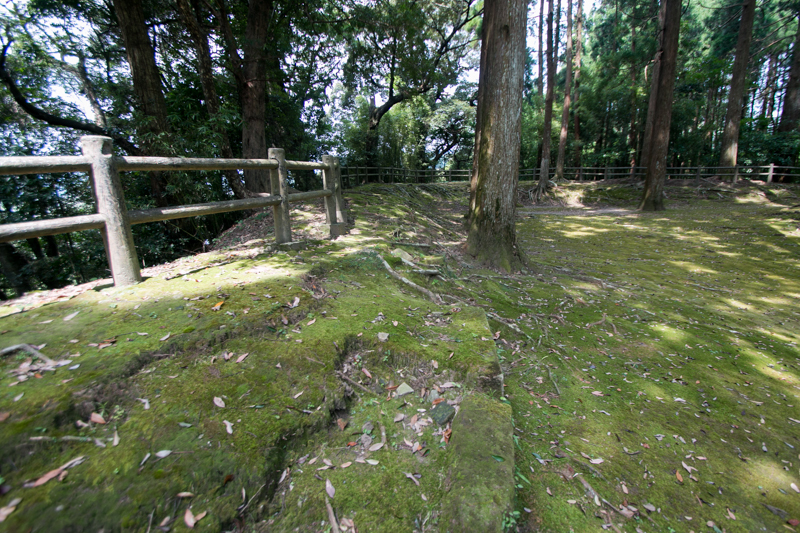 Today central area is covered by dense cedar forest, and this emphasized its shrine like image. Backside terraces were used as a residence of relatives and retainers, and now used as a ground of schools. 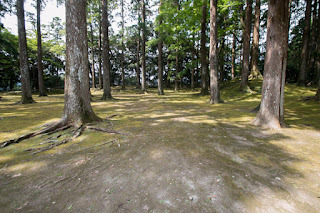 After the death of Hideyoshi, Ito clan belonged to next ruler Ieyasu Tokugawa (1543-1616) at the battle of Sekigahara and could survive as a feudal lord of Obi domain. Banning of Catholic and foreign trade by Edo Shogunate totally shut down international trade at Aburatsu port, but Obi castle promoted selling of cedar wood abundant at their territory and continued by the end of Edo era. 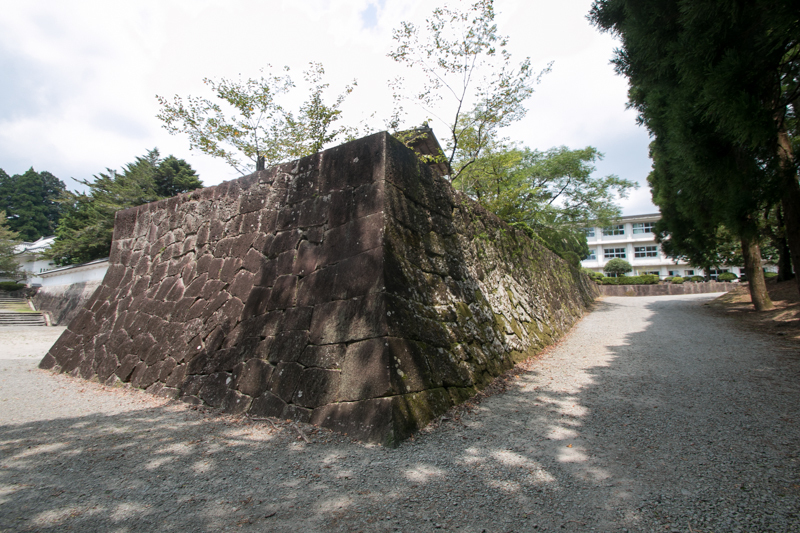 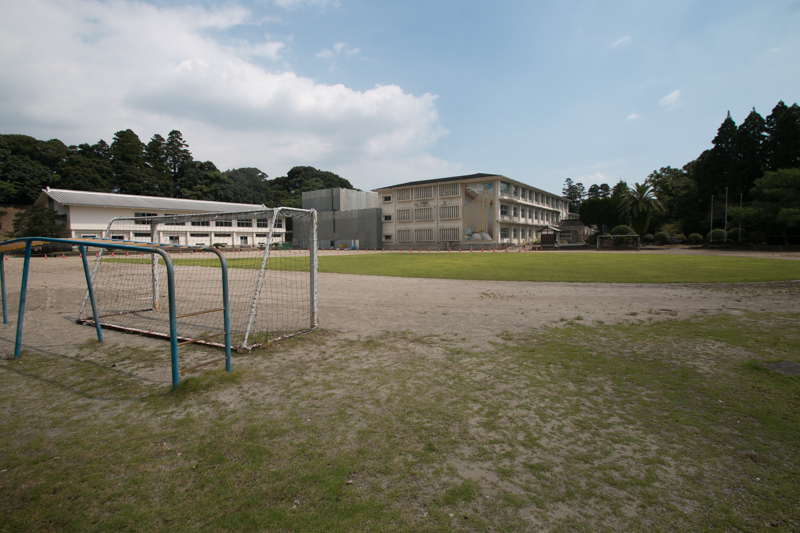 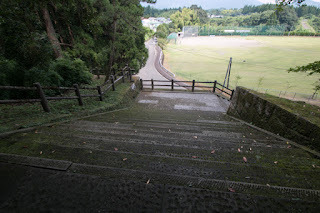 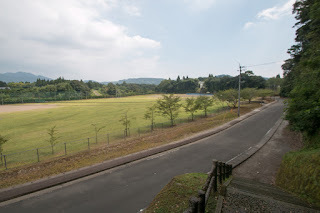 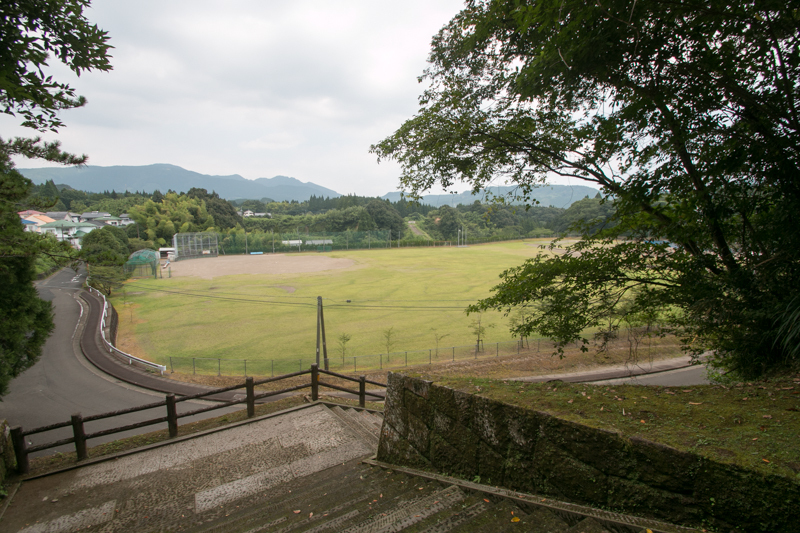 Subsequent to Meiji revolution all building was lost and new central area is turned to the ground of school, but stone walls around central area still remain well. 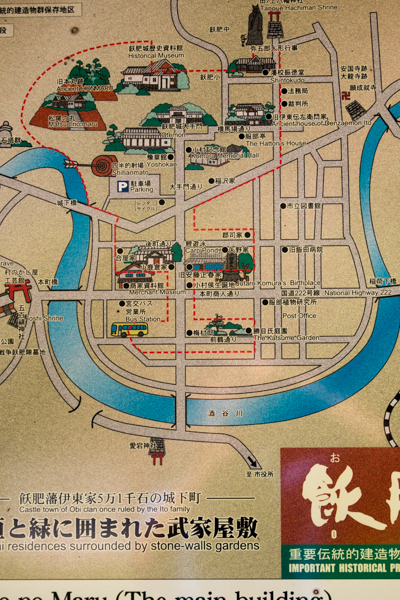 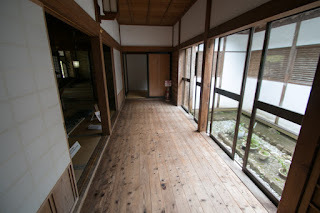 As castle town was surrounded by curving rivers and not suitable for development, old castle town consist of retainers houses and merchants house well remain next to the castle, and Obi town is called as little Kyoto in Kyushu island. 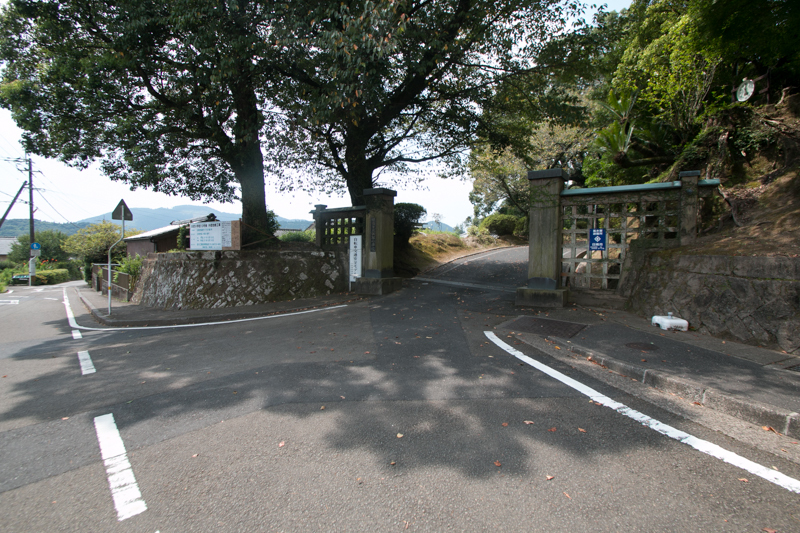 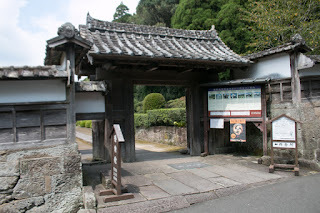 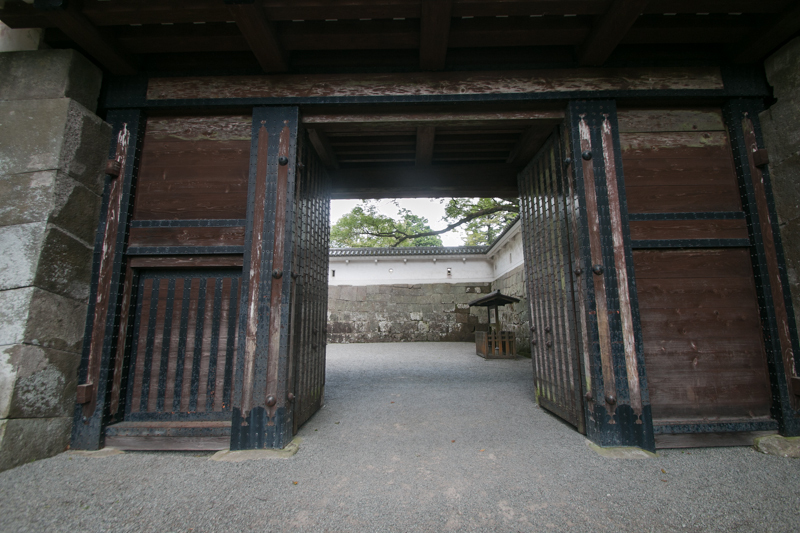 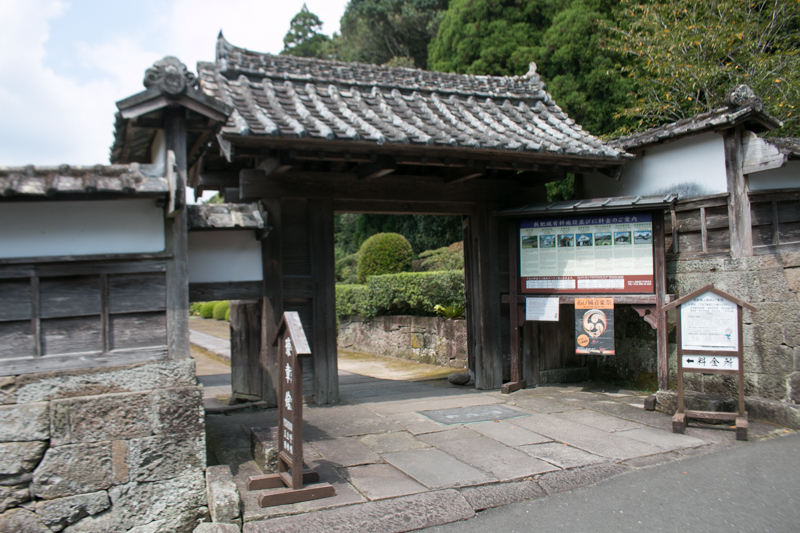 In 1978 main gate was reconstructed in original wooden style, and recently residence of the lord was restored at Matsuomaru area. 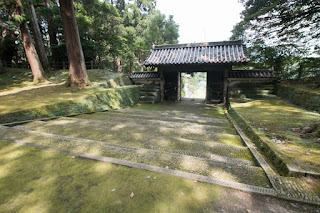 Obi castle has a unique quiet and sacred atmosphere along with its traditional castle town, not seen in other Japanese castles. 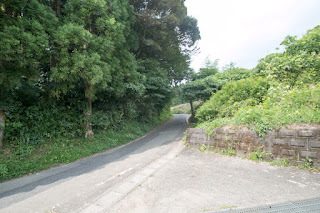 15 minutes walk from JR Kyushu Nichinan line Obi station. 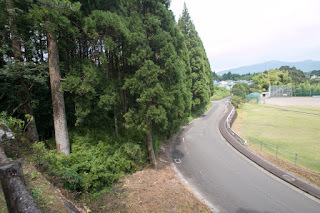 60 minutes drive via Route 220 from Miyazaki city.